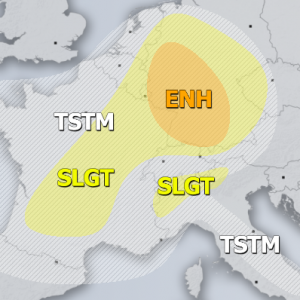 The overall pattern across Europe is very dynamic this last week of October, resulting in extreme amounts of rainfall and major flooding across the Alps and Italy, including severe thunderstorms. And also cold snowy days over parts of WSW Europe on the back side of the deep upper low. 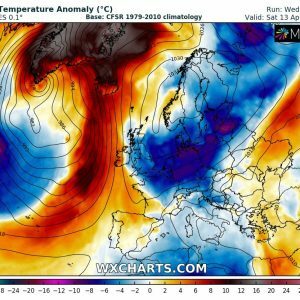 On the front side, a powerful southerly jetstream is advecting extremely warm airmass into the Balkan peninsula where near-record breaking afternoon temperatures were observed this weekend – the peak of this warmth is today, October 29th. 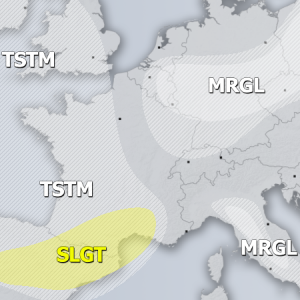 Today’s pattern indicates a large and deep upper low with dual cores centered over southern France and another one NW of Iberian peninsula. 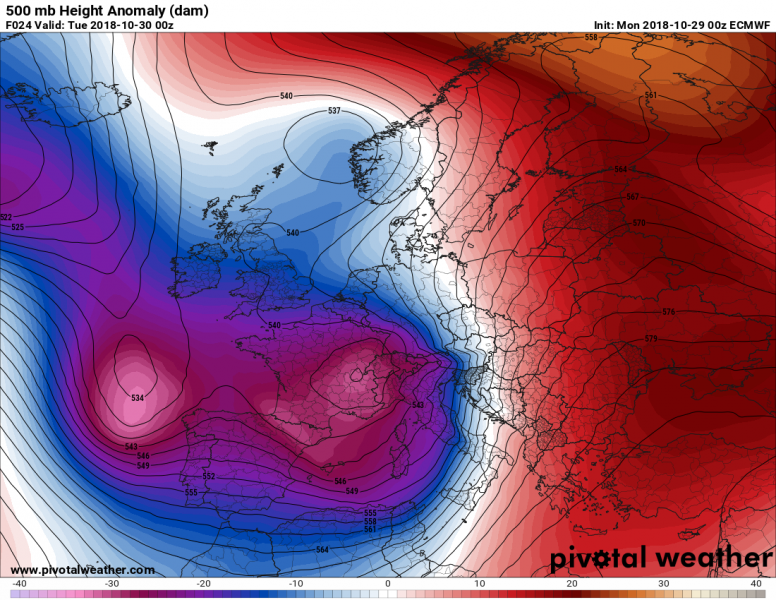 A ridge dominates eastern Europe, while in between a strong temperature and pressure gradient is resulting in very dynamic and robust environment with ongoing severe weather. 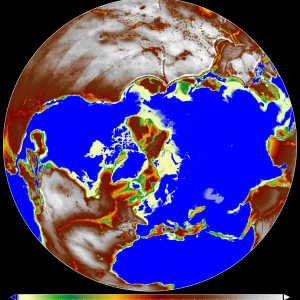 Here is today’s pretty impressive temperature anomaly map across our continent. 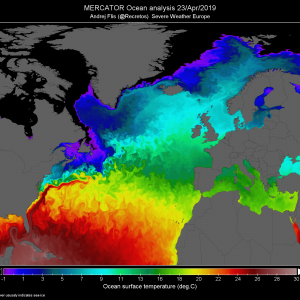 One can notice a very intense cold core resulting in extremely cold weather across eastern Iberia, S France and western Mediterranean. 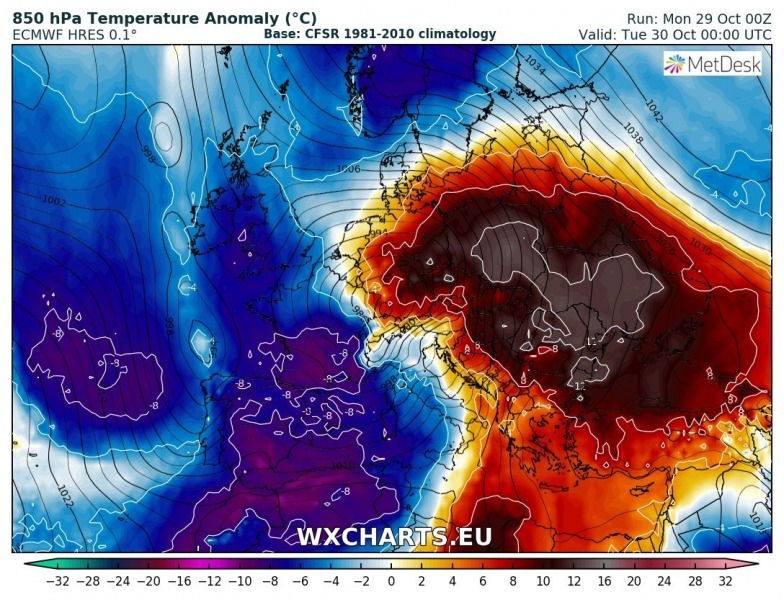 Ahead of the low and frontal system, extremely warm airmass is being advected across the Balkan peninsula into eastern Europe. With temperatures 10-12 °C warmer than average, extremely warm afternoon for late October is expected in the lowlands and also mid-levels. Peak afternoon temperatures will likely reach mid to upper 20s in a large part of south-central and also northern Balkan peninsula today. Max values are expected across the eastern Croatia, south-central Hungary, northern Serbia, much of Romania and northern Bulgaria – likely locally pushing near record values for the end of October: between 25-28 °C! After the front pushes into the Balkan peninsula tonight, temperatures will drop into more normal values for a few days. But warm weather is likely to return in early November – stay tuned!